With so many amazing indie games hitting the Nintendo Switch eShop every week, it can get quite costly to purchase all of the games which pique your interest. We know many of our readers for whatever reason are not able to connect a credit card to their Switch eShop account - or feel it would be too dangerous to do so. If you are in that position, then we've put together a helpful guide so you can easily buy Nintendo Switch eShop credit online and control your spending more effectively. You could even point your friends and relatives to this guide ahead of your next birthday. In North America we're big fans of buying our eShop credit from Amazon. The code is delivered to you instantly and cards can be purchased in a variety of denominations. It doesn't get much easier than this. In the UK your options for buying eShop credit are a little bit more limited. We'd recommend using cdKeys for digital codes which are sent instantly to your inbox. GAME is a good alternative if you'd like to get sent a physical gift card through your letterbox. One of the great things about the Nintendo Switch eShop (compared to that of the Wii U or 3DS) is that you can create additional accounts to enable you to buy games from other eShop regions. If you live in North America or Europe, we'd definitely recommend creating a Japanese eShop account to take advantage of cool Japanese exclusives which are yet to be released in the West. Once you have your Japanese account, you can easily buy Japanese eShop credit for your Switch from Play Asia in a variety of denominations. The code will be sent directly to your inbox too, so no waiting by the mailbox for a pesky physical card to be delivered! Of course, it's not just buying games from the eShop which will require digital credit. 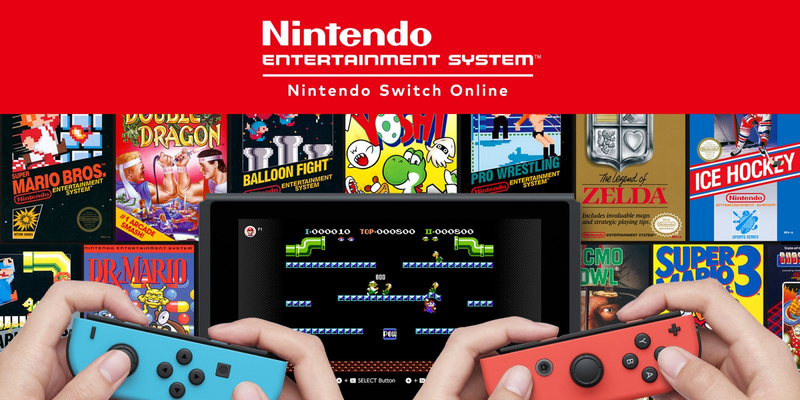 If you wish to play Switch games online then you will need a conveniently named Nintendo Switch Online Membership subscription. Are you a fan buying eShop credit to top up your Switch account? Let us know which eShop games you feel are worth spending your virtual cash on with a comment below. I feel like it's an ad. You can buy eShop cards (physical or digital) at tons of different retailers. @kirbygirl It -is- an ad. Those are affiliate links, so NL gets a portion of the proceeds if we buy this way. I don't mind seeing articles like this if there is some kind of deal, but everything here is regular retail price. It hardly qualifies as a "guide". 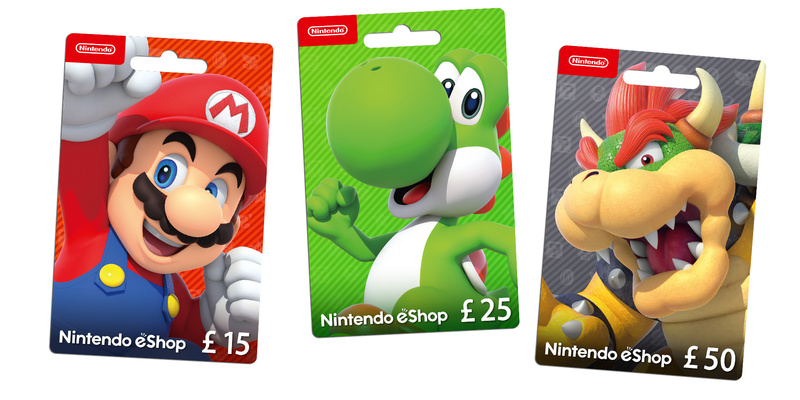 Why would anyone buy a physical eShop card when you can just buy currency directly from the shop? I recommend Zeek in the UK. 5% saving on there. @thesilverbrick Because you need a credit card to buy from the eshop... oh right, same on Amazon. In all seriousness, I think it's either for a gift or to build some kind of collection with those cards. I want that Wario card, shame I live in UK. So you could buy from Amazon US now if you're from Europe using EU Credit Card? I wasn't allowed back then. So I buy from www.pcgamesupply.com directly with PayPal or CC with the current exchange rates. I recommend paying in USD for US credits or Yen if you're buying from Japan and don't pay for the automatic conversion in Euros as it will have a lower exchange rates. Let your bank do the rates conversion even with a little percentage fee as it will still be cheaper. As always, PlayAsia is "scam". 1000 yen is only around $10 and not $12.99. @thesilverbrick I usually pay with Paypal but there are a few reasons I'll occasionally buy eShop cards/codes. @BensonUii Is there even any place to buy Japanese eShop codes without a significant mark up these days though? I miss when we could get them from Japanese Amazon. @cmlobue Yeah, I don't mind ads sometimes, but my point is that this "guide" is not really functioning as a guide of where to buy at all because it's only linking to a very few selected retailers. The only option listed for NA cards is Amazon. Come on, seriously. No Nintendo eshop cards here too. I thought it was in my country only, didn't know other countries don't have Nintendo eshop cards, as well. @thesilverbrick For the same reason i don't use my credit card on the PSN store. If my account gets hacked, there's no payment details available. Ok, i'll lose my games but my money is safe. 5,000 yen for $49.99 or 9,000 yen for $99.99? Maybe it's just me but i'll take two 5,000 yen card for $99.98. And don't even get me started on the 1,000 yen for $12.99.